← MySpace Tom Gets Owned on Twitter!!! Right? Right? BYU fans are the best. 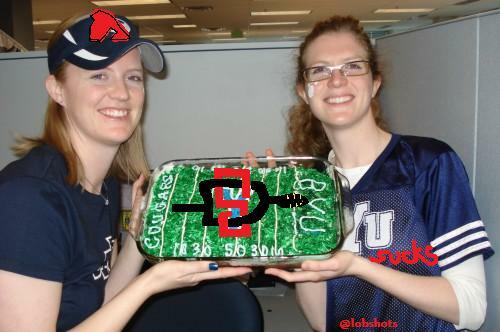 My prediction for the game is 78-0, SDSU wins. Fingers crossed. If you’re out at the Q, snap some photos… send ’em my way. We’ll post em. This entry was posted in College Football and tagged BYU, Poinsettia Bowl, San Diego State, SDSU, SDSU vs. BYU, SDSU vs. BYU in the Poinsettia Bowl Tonight!. Bookmark the permalink.